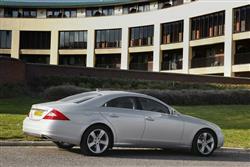 Car and Driving's Independent Used Review of the Mercedes-Benz CLS (2005-2010) Range. 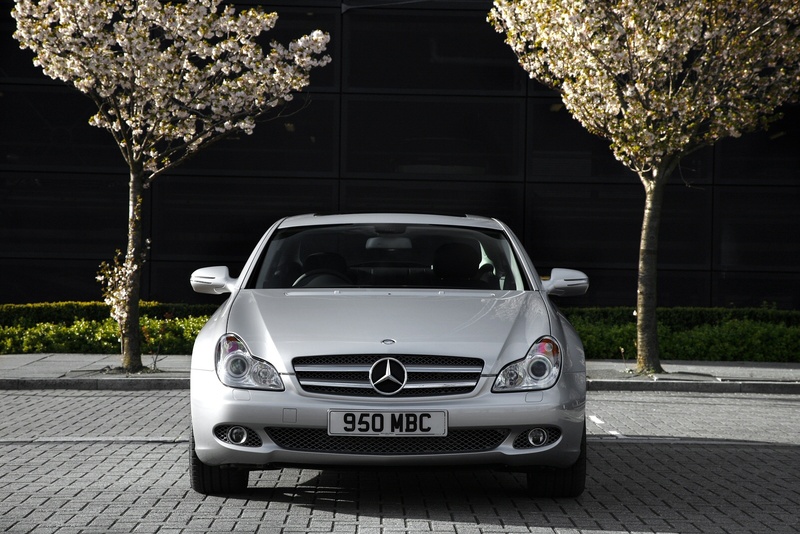 When it comes to buttoned-down saloon car rectitude, Mercedes-Benz has the market taped. Leave aside the gut-wrenchingly rapid AMG models and it has to be said that the C-Class, E-Class and S-Class models are about as straight as they come. It’s easy to imagine senior suits in Stuttgart intoning that “For the saloon car, we have a procedure. The procedure must not be deviated from. Deviation will not be tolerated.” Quite how the CLS slipped through the net is anyone’s guess, but here’s a car that takes the saloon car book of conventions, rips it to shreds and dances on the tatters. As a used buy, it’s one of the most interesting saloon choices around. The underpinnings of the CLS are never quite as radical as the banana styling would suggest, being ostensibly an E-Class chassis down below. This is no bad thing, the E-Class having improved beyond measure prior to the emergence of the CLS, but it’s also a very clever piece of marketing from Mercedes. Ask most potential purchasers - and a good few owners - of the CLS and they’d take the S in the title as suggesting it’s built on the bones of an S Class. Close, but no cigar. 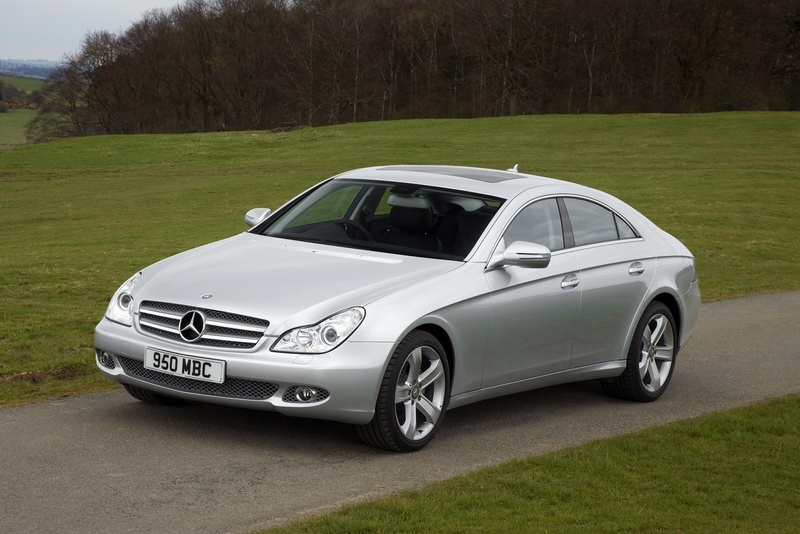 The basic CLS shape was first displayed at the 2003 Frankfurt Motor Show, dubbed the Vision CLS Concept. Mercedes was swamped with requests and speculative letters of intent should they ever decide to put the car into production. The hopes of enthusiasts were realised in 2004 when the car was displayed in virtual production-ready form at the New York Auto Show. 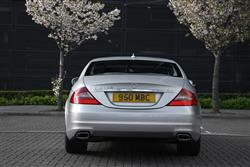 Later that year, the CLS55 AMG hot rod was unveiled at Paris and the cars arrived in dealers in late April 2005. The range comprised the CLS350, the CLS500 and the CLS55 AMG petrol models as well as the CLS320CDI diesel. The racy CLS55 AMG was not long for this world, replaced in short order by the big capacity, naturally-aspirated CLS63 AMG in July 2006. Walk around a CLS and - if you’re a student of automotive design - you may well feel a gnawing sense of unease. What is it about this car that’s so unusual? Yes, a four-door coupe isn’t exactly conventional but that isn’t it. After a while the realisation dawns that the CLS just plain doesn’t seem like a German car. History has taught us that German cars feature clean, pragmatic styling. Even the more extrovert and successful German designs, such as Audi’s TT, have a pared-down industrial hygiene about their bodywork. The CLS is different insofar that it is unashamedly Baroque, with an attention-seeking ostentation suffused throughout it. In short, this car looks American. The suspicion is well-founded, the CLS being largely the work of American stylist Michael Fink. It almost looks like an evolution of a Los Angeleno low rider from the late fifties and was always destined to be a very hot ticket in Mercedes’ biggest export market. It’s difficult to take in all of the details of the CLS styling at one go. The way the twin swage lines that run along the flanks become the leading edge of the front wheelarch is beautifully resolved and the big L-shaped front lights mark a welcome departure from the gawky ‘peanut’ headlamps seen on so many contemporary Benzes. Even the door handles look like something from an Art Deco design exhibition. Open the door and the surprises continue. 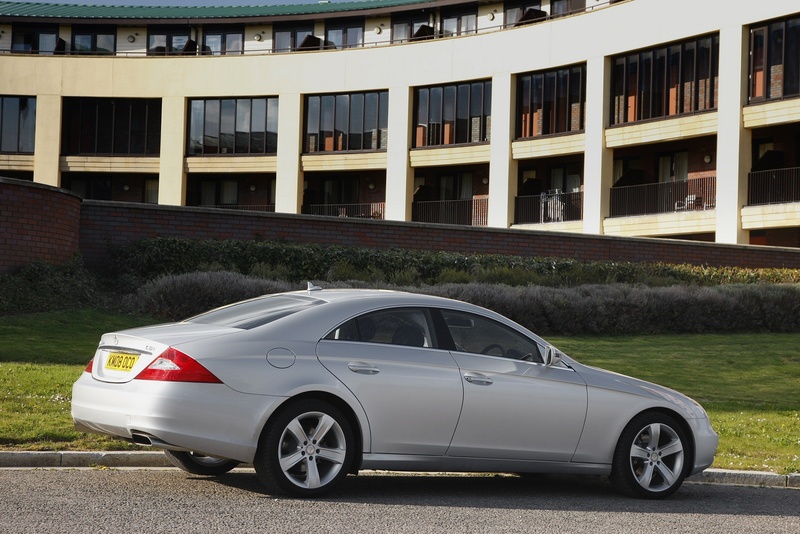 In true coupe fashion, the CLS features frameless glass, the windows dropping a centimetre or so as you pull the handle. It’s also a long way down to the driver’s seat. Stand next to the CLS and you’ll soon realise that it’s a good deal lower than either a CL or a CLK coupe, the two big hitters of Mercedes’ coupe range. The cabin is like no Benz currently offered, the fascia being particularly reminiscent of modern Jaguars. A vast plank of wood runs across the dashboard, punctuated by the ventilation controls and a deeply sunk instrument binnacle. If imitation truly is the sincerest form of flattery, then Jaguar should be coyly blushing. Trade pundits advise buyers to seek out AMG alloys and leather upholstery while avoiding dull non-metallic colours for easy selling on. 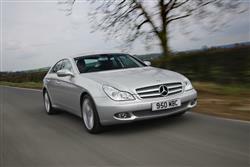 White cars have staged a bit of a recovery of late but don’t be tempted for a white CLS - they look dreadful. Yellow should also be given a wide berth unless you want your car to look like a ballistic banana. Buying from a franchised dealership is undeniably expensive, but the selection will be good and this route should take the worry out of purchasing a CLS. Going this route also entitles you to Mercedes’ helpful PCP finance scheme and an impressive back-up package of after-sales benefits. 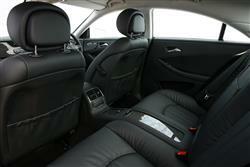 The CLS is a four-seater only, with a chunky transmission tunnel dividing the two rear seats. It’s easy to forget that there’s an additional set of doors at the back, despite Mercedes not adopting Alfa Romeo’s clever hidden handle feature. Once opened, taller passengers will have to watch their heads as they climb in, but the legroom isn’t bad at all. 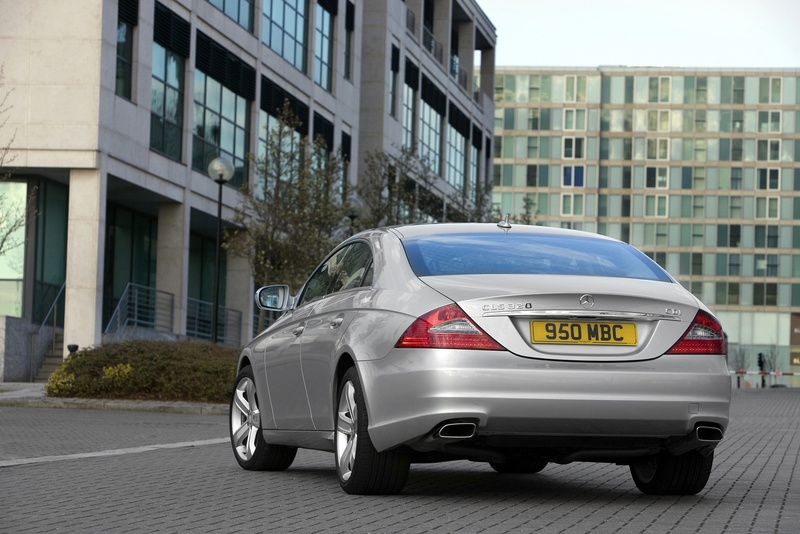 Compared to its closest rival, BMW’s 6 Series, the CLS is a far more practical proposition. Headroom in the back is 37mm down on the E-Class saloon but is far from problematic although the high waistline gives a slightly claustrophobic feel. The fact that it’s easy to get in and out of the back helps here. The smallest petrol powerplant is no slouch, being a 268bhp 3.5-litre V8. This has proved the most popular model and although Mercedes claimed to be aiming at 30,000 CLS sales across the globe in 2005, company insiders claim that the car actually shifted more than 50,000 units. The CLS350 will get to 60mph in under 7 seconds and run on to an electronically-limited top speed of 155mph, which means that it’s quick enough to keep a BMW 630i honest. The CO2 emissions are pegged at a relatively saintly 217g/km and a combined fuel figure of 31mpg is good news for those who don’t want to be saddled with a gas-guzzler. 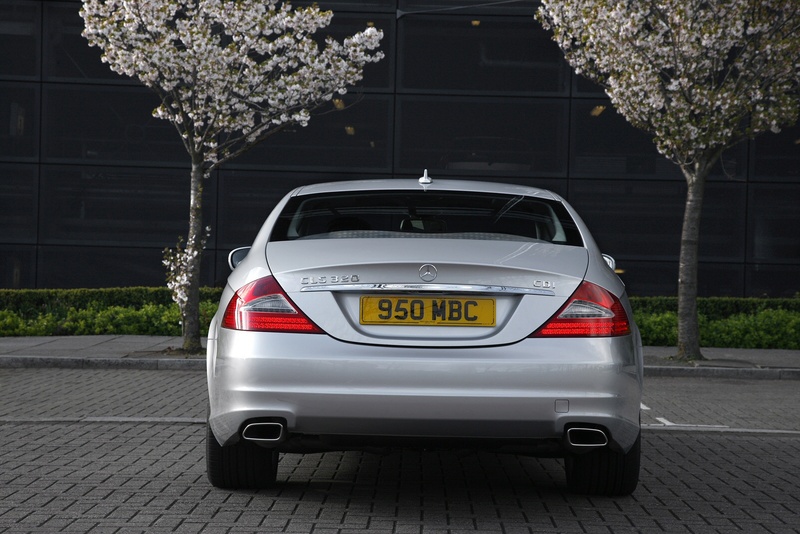 If you’ve got a little more money to throw at a CLS, you may well be tempted by the V8-engined CLS500. Here you get a couple of extra cylinders, a fraction better refinement and acceleration which seems a rather questionable return on what is the thick end of a £10,000 premium. 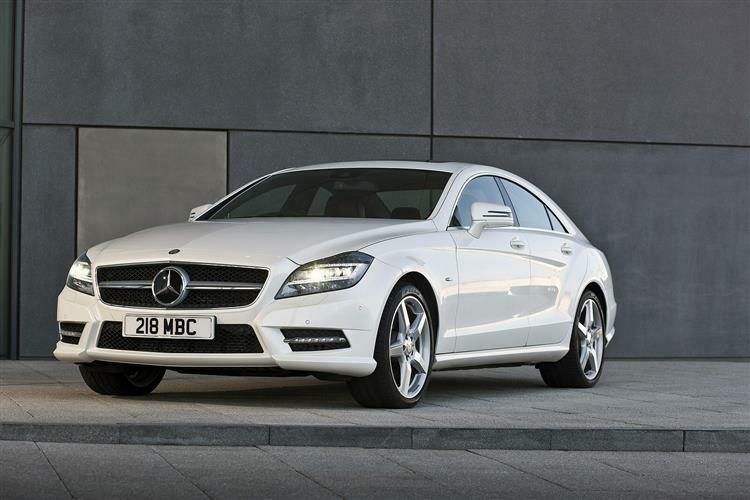 If you really hanker after a CLS that will lift its skirts and fly, best go for the CLS63 AMG version. The sole diesel option, the 224bhp 320CDI, can hit 60mph in under 7s and with 540Nm, it feels quicker in real world driving than the 350. Fuel economy of 37.2mpg is not to be sniffed at. There aren’t too many saloon cars - even in this price bracket - that give you a real buzz of excitement to own. Yes, there are quicker saloons that rely on brute force to supply the thrills but the Mercedes CLS operates on a subtler plane. As a used buy, it may still be a year or two before it starts to attain true bargain status but an ‘04 CLS350 would make a very tempting alternative to something newer but less charismatic.